80포트가 이미 사용중으로 보인다. 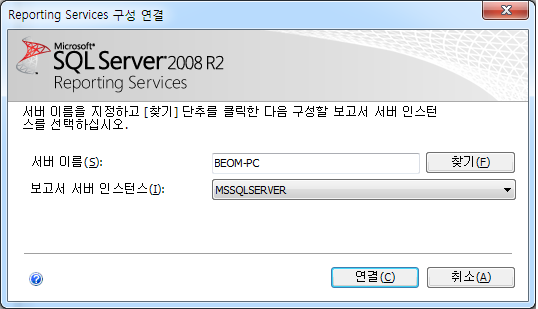 검색해보니 MSSQL 설치시 SQL Server Reporting Services(MSSQLSERVER)가 기본적으로 80포트를 사용한다. 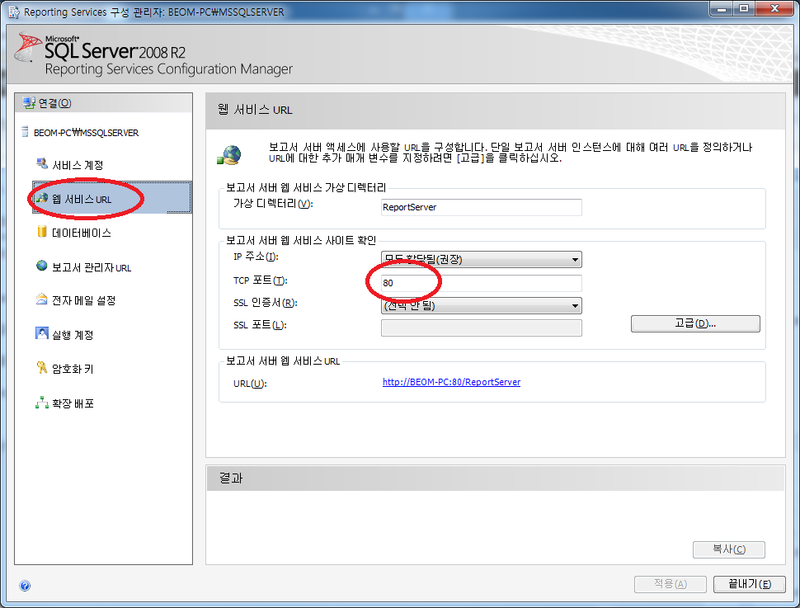 웹서비스 URL & 보고서 관리자 URL 항목에서 80포트를 사용하지 않을 포트로 변경하면 웹서버에서 80포트 사용이 가능하다. 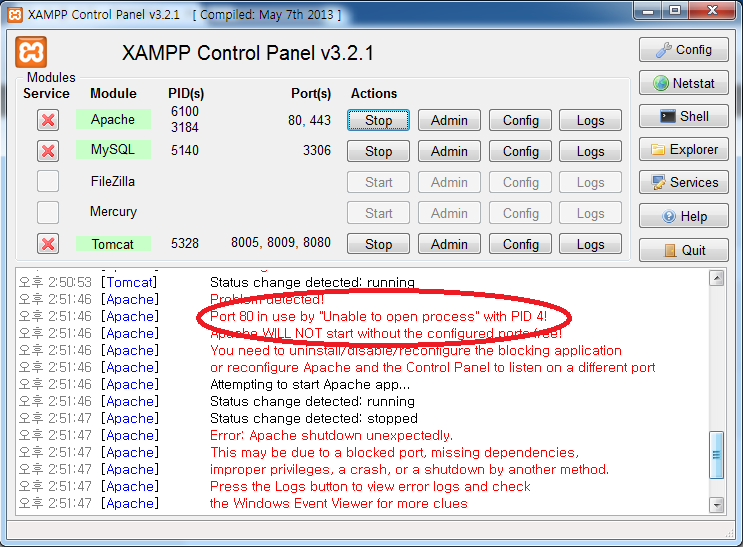 > Development, MSSQL, ServerApache WILL NOT start without the configured, Error: Apache shutdown unexpectedly, MSSQL + PHP, MSSQL 80포트, MSSQL APACHE, Port 80 in use by "Unable to open process", Reporting Services 구성관리자, SQL Serer 80 port, SQL Server Reporting Services[opener].